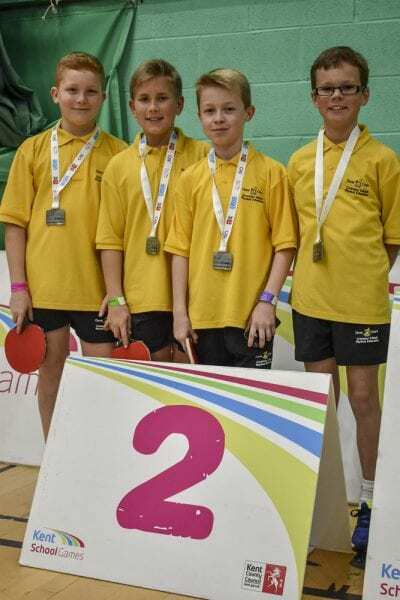 The year 2017-2018 has been a record breaking year for table tennis at Dane Court Grammar School and it is difficult to believe that any other school in the country has enjoyed the same level of success across both genders and within all four Year 7 to 11 age ranges. 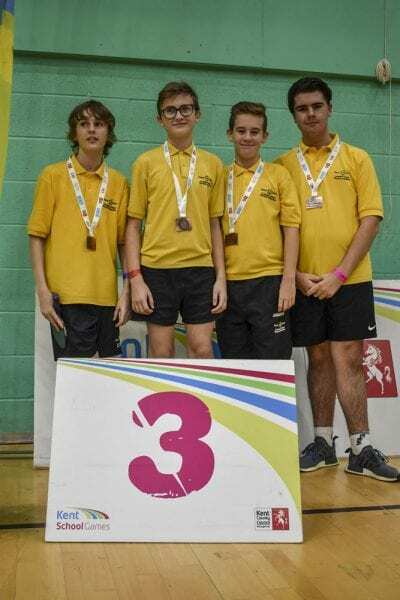 In November at the Kent County tournament held in Gillingham, both the Under 13 and Under 16 Girls teams finished as champions while the Under 13 Boys team were runners up and the Under 16 Boys took bronze medals as the third placed team. Then in January the Under 16 Girls team emerged victorious from a six-school competition in London to become winners of the zonal event before travelling to Bristol a month later to triumph at the regional tournament. 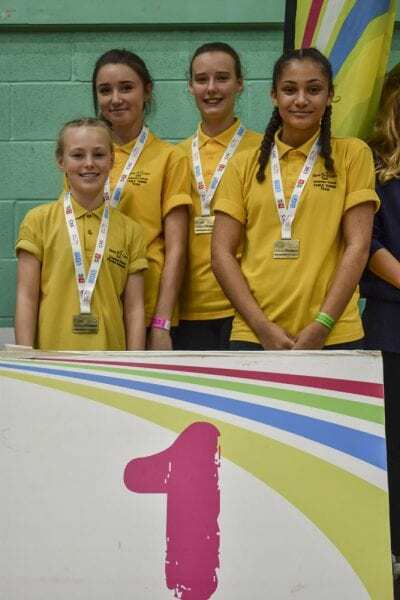 This meant that after four years of competing at the regional final where the girls had twice been runners-up they had qualified for the national final. The four best school teams in the country in each age range and gender played against each other at the magnificent Hinckley Leisure Centre in Leicestershire on 10 March and the Dane Court Under 16 Girls team finished third by winning their last match against Lancaster Girls Grammar School. In addition to the success of the school teams more students than ever before have attended the after-school sessions held on Tuesdays and Thursdays and the overall standard of play has never been higher; increasing numbers of Dane Court students also go along to St. Anthony’s School, Cliftonville where Thanet Vikings Table Tennis Club hold coaching and playing sessions while several students now play in the adult Thanet Table Tennis League. Noteworthy individual achievements include Catherine Banks winning the Thanet Ladies and Allocated Doubles competitions and finishing runner up in the Under 18 event; Louis Lines becoming the Under 14 champion and Jake Stevens the Under 12 winner. The cohort of very promising Year 7 Boys, in particular, bodes well for the future but within all year groups, there are many players, both boys and girls, who have drastically improved their skill. Thank you, Dane Court Grammar School for sending us your exciting news report. 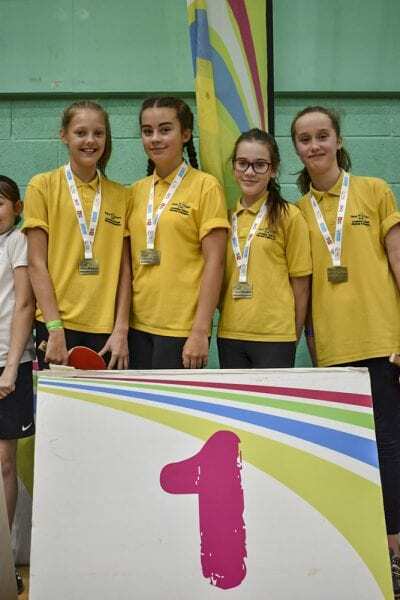 It’s terrific to hear and celebrate the success of your Table Tennis teams this year and how their practice is helping them to go from strength to strength. Well done to every student who took part and who make their time to practice at the after-school sessions.